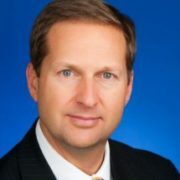 Allen is Vice President, Eastern Region for CIGNA Global Health Benefits based in Wilmington, Delaware. 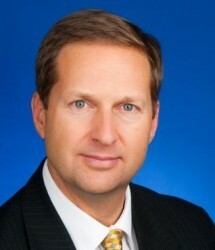 Allen joined CIGNA Global in 1990. His role is responsible for business development, thought leadership and client fulfillment in the Eastern part of the United States through his team. He has consulted and advised on global initiatives tailored to the employer’s workforce, goals and budget. Allen has been actively involved in developing and supporting international healthcare, global wellness, dental, disability and travel medical plans for multinational employers ranging from the Fortune 100 to emerging multinationals. He has met with groups which include international assignees, traveling executives, local nationals, and medical providers with trips to China, India, Turkey, Chile, Kuwait, Saudi Arabia and CzechRepublic. He graduated from DrewUniversity and has attained CEBS Fellowship Status from ISCEBS. He has written various articles, notably “Culture, Infrastructure and International Health Benefits Delivery” in Benefits Quarterly; and “Expatriate Benefits for a Changing Global Economy” in Benefits & Compensation Solutions; “Critical Conditions – Seeking Suitable Health Care in China” in Mobility. His latest is “Implications of Underwriting International Medical Insurance” in Newsbriefs based upon an ISCEBS Symposium Presentation. Allen is International Committee Chairman in Philadelphia for the Penjerdel Benefits Association (PEBA) and currently CIGNA’s representative on the Board of Directors of the National Foreign Trade Council (NFTC) the oldest trade association advocating an open, rules based international trade system. Prior to joining CIGNA, Allen was an Account Representative in the International Department of Travelers Insurance in NYC; and a Staff Assistant and Scheduler for the U.S. Congressman in New Haven, CT.
Allen currently resides in Wilmington, Delaware with his wife and two children. CIGNA Global was founded in 1977, is about a $1Bn part of the broader CIGNA enterprise that provides health & associated benefits to globally mobile employees around the world with business operations or licenses in 30 countries around the world. CIGNA Global has more than 3,700 customers and provides global health care for over 875,000 members in over 190 jurisdictions around the world.